Welcome to UM Tactical, Home of America’s most advanced tactical shooting solutions. Whether your need is an optic mount for your pistol or a flat shooting rifle, UM has it! 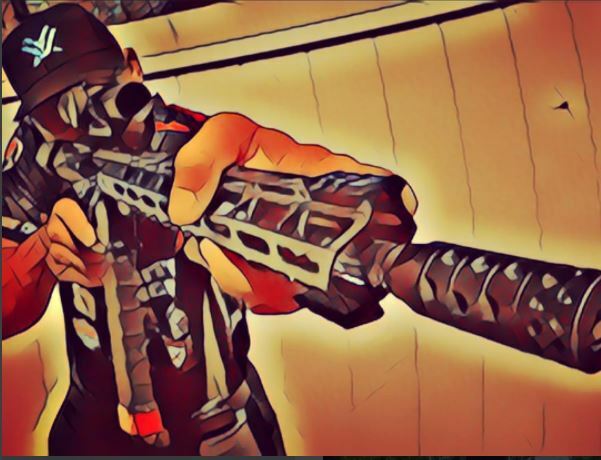 As most tactical shooters can tell you, compensation options for AR-15 were complex or did not actually serve to flatten the muzzle upon firing. Looking at that, UM realized that what was sorely needed was a fully adjustable compensation system. The UM R.A.G.E. TCS (Rapid Adjustable Gas Expulsion) provides the shooter the ability to adjust both the vertical and horizontal muzzle movement with a series of adjustable port washers. The UM R.A.G.E. TCS is available in .223/5.56mm, .308/6.5mm and 9MM (1/2 x 28 and 1/2 x 36), comes in Black or Silver. This high quality mount is constructed from CNC machined aluminum and is finished in multiple anodized colors. Although most sight mounts are bulky and unattractive, the UM3 universal sight mount from UM Tactical is not only good looking, but adds that custom appearance and factory fit to almost any gun. The UM3 Mount is almost universal for handguns with a 1913 rail, there are a few exclusions. However we have created the UM3X that covers the others. The mount will also hold zero when removed and reinstalled on the same gun. After many years of research and development the UM3 Sight Mount is finally available for sale. This serious piece of handgun hardware is proudly made in the United States and comes with a limited lifetime warranty. Each pistol scope mount is designed and manufactured using computerized technology to create a perfect product from high quality aluminum stock. CNC machining ensures precision manufacturing is accomplished while maintaining adherence to very tight tolerances. The final product is given a protective anodized coating to ensure it has maximum protection against potential corrosion and perfect function. UM has also addressed the next obvious need for tactical pistol shooters, an effective holster that allows your optics to remain mounted. The UMH-3 system is just that. The holster is designed to fit the UM-3 mount so that any pistol equipped with the mount would be able to use the holster. The UMH-3 is designed with a large slot in the front to allow easy holstering and drawing without disrupting the mounted optic. Multiple belt mounting methods allow the shooter maximum flexibility. ​UM Tactical remains dedicated to improving the world of tactical shooting one accessory at a time. Our development team is always talking to competitive and tactical shooters to learn their needs and concerns. As tactical shooters ourselves, we understand these needs and are working to fulfill them. You can find our products in many of your favorite sporting goods stores and local gun dealers, or you can visit our online shop NOW!